Orange County, FL – Orange County Utilities will host six free irrigation workshops beginning Saturday, July 12, in recognition of Smart Irrigation Month, an initiative of the Irrigation Association, a nonprofit industry organization dedicated to promoting efficient irrigation. Workshops will focus specifically on efficient and micro-irrigation. Information including event days, times, and locations are listed below. Learn the efficient design of an in-ground irrigation system, how to set irrigation controllers, how to check sprinkler heads to ensure they are working properly, and how to make minor adjustments and repairs to the irrigation system. To participate in a workshop listed below, residents can register at www.efficientirrigation.eventbrite.com. Retrofitting an irrigation system to increase efficiency is easier than it sounds. In this interactive class, irrigation professionals will teach homeowners the step-by-step process of converting portions of an irrigation system into micro-irrigation for more efficient watering. Participants will also have an opportunity to purchase a micro-irrigation starter kit for the reduced price of $19.00. To participate in a workshop listed below, residents can register at www.microirrigationclass.eventbrite.com. July is traditionally the month of peak water demand for lawns, gardens, and landscapes in North America. The Irrigation Association named July as Smart Irrigation Month to increase public awareness about simple practices and innovative technologies homeowners, businesses, and property managers can use. Homeowners typically overwater lawns and landscapes by up to 30 percent. By selecting and planting carefully, watering wisely, and maintaining and upgrading automated irrigation systems, consumers can save money, save water, and see better results. 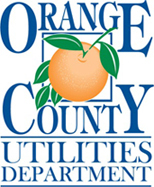 For more information, customers can contact the Orange County Utilities Water Division at (407) 254-9850 (select option 1, then option 2) or send an email to Water.Division@ocfl.net.